NEWPORT BEACH, Calif. – May 5, 2011 – The California Supreme Court today held that St. James Anglican Church can defend its property rights against the claims of the Episcopal Church with evidence in a court of law. The Court confirmed that its 2009 Episcopal Church Cases decision did not end the property dispute in the Episcopal Church’s favor as it had claimed. “Further proceedings are still necessary to finally decide the dispute,” said the Court. In early 2009, the California Supreme Court sent the case back to the Orange County Superior Court, where St. James for the first time answered the Episcopal complaints, raised affirmative defenses, began discovery, and looked forward to defending the property that its members bought, paid for and maintained since its founding six decades ago. In its 2010 opinion, the Court of Appeal majority essentially ruled that St. James could not defend itself, and that the Episcopal Church was entitled to judgment in their favor based on their allegations alone. Today’s decision from the California Supreme Court rejects that unprecedented result. The Episcopal lawsuits against St. James stemmed from a decision by the members of St. James Church in August 2004 to align themselves with another branch of the worldwide Anglican Communion, and end the church’s affiliation with the Episcopal Church over core theological differences involving the authority of the Bible and Jesus Christ. The Episcopal Diocese of Los Angeles sued St. James Church, All Saints Church, Long Beach, CA, and St. David’s Church, No. Hollywood, CA, and over two dozen volunteer board members in September 2004, including for monetary damages. Subsequently, the national Episcopal Church intervened into the lawsuits. 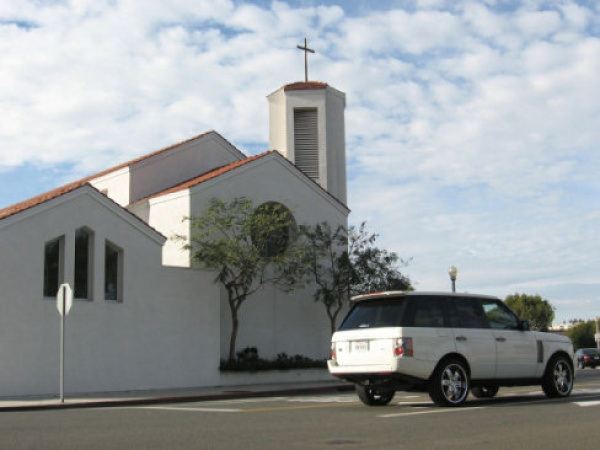 St. James Anglican Church continues to hold services every Sunday at its Newport Beach location as it has for the past six decades. On May 5, 2011, the California Supreme Court held that its prior 2009 decision in Episcopal Church Cases did not end the property dispute, but that St. James now has the right to defend itself in court with evidence. That opinion wouldn't give me a lot of hope if I were a congregant. It reads more like a "when, not if" type decision, and against the congregation. Anon, can you be more specific - why do you think that? Please specify why you have come to this conclusion (and are not the lawyers who bringing the case against St. James). In these transitory times, you would do well to make your case. That's a lovely opening sentence, but that's all that it is. Again, if you are a guest anon and want to make a case, please do so - you are welcome to do so. But if you make such unsubstantiated comments, you come across as a troll throwing their lunch and that does not exactly help one's case, now does it? Hagrid has taking to complaining to management about "Lunch Trolls." In this new Facebook Era, Hagrid is getting less patient with guests throwing their food. We aim to be inclusive here and kindness is appreciated, right Hagrid? I thought the 1757 comment was fairly innocuous. Perhaps what anon was conveying is that this is very much a procedural decision based on the state Supreme Court's conclusion that the matter could not be disposed of in its entirety on the rather unusual device of a Motion for Judgment on the Pleadings. There is no signal from the SCt. that the underlying law would favor the departing group (In California it clearly doesn't, at least at this point in history). So I took the comment to mean that both sides have clearly been consigned by the high state court to more process, but that a not implausible result is that the outcome will be exactly the same, but many months and many dollars down the road. Of course, it is possible that some smart, reasonable people, accustomed to thinking with their heads, will intervene and find another solution to save both sides continued waste. Why did I instinctively know that Scout would vouch for Anon's comment? Is it because Scout is ALWAYS in favor of the Diocese vs the parish (and if necessary the rump diocese vs the real diocese)? Actually, Carolyn, I don't even know what a "rump" diocese is. Is it like a rump roast? But, you're quite incorrect to assume that I would always take the side of a Diocese against a parish. I know of several examples where I have opposed diocesan actions and felt they have been unnecessarily insensitive to legitimate parish concerns. If you are looking for a unifying theme to my feelings on these property disputes, it would be more accurate to characterize it along these lines: I do not understand where, in the governing documents of the Church, lies the right of a person or persons who depart for another denomination to take property with them. Conversely, I do not understand why, as a matter of legality, ethics or morals, a person or persons who depart a church for another affiliation can take things away from people who stay. That's it. In the context of the instant post, however, my comment would be the same even if I had quite different views: this was a procedural ruling and anon1757's point seemed rather neutral = there could be a lot more process and still the same result. Yeah, like a rump roast, but not as tasty. Sometimes I fear that Carolyn doesn't like me nearly as much as I like her. I'm sure she's much nicer to other people. But, I would be interested in her views on the substantive part of my comment. I am extremely nice to honest people. Scout, we can split this hair one hundred ways, but for the sake of argument, if the Bishop had signed a letter saying the Diocese had no claim on the property would you oppose St. James leaving with the property? The Bishop is a member of the hierarchy of a hierarchical church. Carolyn has evolved from suggesting that I am stupid to saying that I am dishonest. BB and her friend Hagrid will no doubt take heated offense. Until they intervene, however, I can only lamely defend my intelligence, given that a lot of folks are much smarter than I, some so much so that I could be said to be stupid by comparison. Carolyn may be one of these people. I just don't know her other than her comments here, and therefore can't concede the point. On the personal integrity front, I am certain that Carolyn has no basis on which to impugn my character or reputation for veracity. RWK- My comments on these property disputes have been largely generic and applicable to any situation where a parishioner or a group of parishioners decides to leave for another affiliation or even another religion. However, to address your question fairly, yes, I think it would be very possible for a Diocese, acting through its Bishop in accord with the governing instruments of the Church and the Diocese, to approve a property transfer. If this happened at St. James, I do not apprehend why there is litigation. My surmise is that it did not happen. If you are suggesting that something less conclusive was communicated, my thought would be that it might be admissible in an evidentiary sense, but not in itself controlling of property rights. Scout: "I am certain that Carolyn has no basis on which to impugn my character or reputation for veracity." Scout: "Actually, Carolyn, I don't even know what a "rump" diocese is." You frequently feign ignorance of topics and terminology that are very common in the blogs where I have seen your postings. That's my basis. If you could converse openly and honestly I probably wouldn't be quite so irritated. But that's OK. We will agree to disagree. Carolyn -- While I don't know Scout, and don't agree with him (or her) on the Current Anglican Unpleasantness, I have found him (or her) willing to converse honestly, as well as respectfully and knowledgeably. Hagrid must be lying drunk in his cottage. Steven, my experience has been different, as explained my previous post. Carolyn: I think what you regard as dishonesty or moral turpitude is nothing more than my mild-mannered aversion to gratuitous pejorative language. When you use the term "rump diocese" it is not a particularly informative descriptor. How does a Diocese become a "rump" diocese? In California, for example, there are many dioceses in many denominations. How do we know the rump from the real? Is it possible that there are simply several dioceses and that the name-calling doesn't advance the discussion? In Virginia we have at least two Anglican dioceses. Does one have to be a "rump" diocese? I don't think so. I see a lot of this kind of thing thrown around on blogs. It is a commenter's right (up to the point of the blog host's tolerance) to use that kind of language, but I find it meaningless and generally indicative of spleen more than the fair exchange of opinions. And, of course, thank you, Steven, for your fairness. That we disagree on church property dispute issues should not obscure the happy fact that we agree on many other things. Anonymous comments saying the congregation is going to lose get threats of "Hagrid." Yet a string of insults calling a regular contributer stupid and a liar are tolerated. Hypocrisy does not wear well. Of course, Scout disagrees with the positions on this blog regularly. I guess that makes it ok. I think my point about the use of pejoratives like "rump" diocese (and I truly do not know what makes a particular diocese "rump" other than that it is one someone doesn't like)is that these dioceses have names and putting a silly naughty word in front of it is gratuitously derogatory. We have more than one Anglican diocese in Northern Virginia, and I can't see why either has to be a "rump" diocese. Same could be said in Texas, California, or Pittsburgh. And thank you, Steven, for your fairness. Other than the underlying principles in these unhappy church property dispute, I suspect that there is very little upon which we disagree. Sorry for the duplicative comments. One of them got hung up in the e-ether for several days. So I submitted a similar one to replace it. Now, the first one has reappeared.